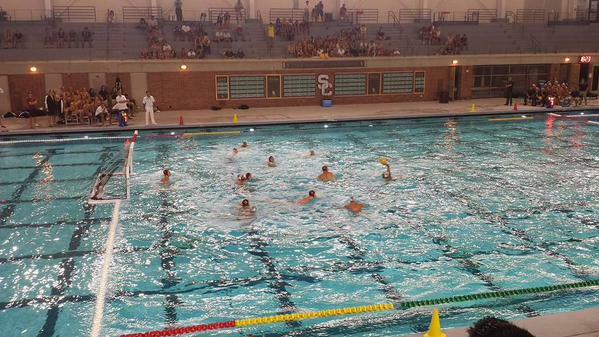 On Saturday, the USC men’s water polo team hosted Long Beach State in their MPSF opening game. After coming off a 3rd place finish in the NorCal Tournament hosted by Stanford the previous week, the Trojans were ready to come out strong and did so by beating No. 7 Long Beach State 17-9. The Trojans came away with a 5-2 lead over Long Beach after the first quarter (2 Stein, Koplow, Silvers, Pasuljevic). The fast pace offense that put them ahead carried into the half as they were up 10-4 thanks to a pair of goals by Nick Bell and goals by Grant Stein, Mac Carden and Matteo Morrelli. Despite a strong lead, the Trojans struggled against the 49ers in power play, only converting three of their 7 man-up opportunities. However, in the 3rd quarter, the Trojans came back to convert three of the five allotted power plays along with a regular play goal by Chase Koplow that gave them a commanding 14-5 lead. They maintained a comfortable lead going into the 4th quarter, and the Trojans did not falter. In the 4th, Koplow had one goal, one steal, and one assist, helping the Trojans attain a solid victory over the 49ers. The defense successfully shut down Long Beach’s two-meter Duncan Lynde—who was later ejected from the game for unsportsman-like conduct—throughout the game. USC's goalies were an essential force to keep Long Beach at bay with sophomore McQuin Baron’s five blocks and four more from sophomore Ben Goncharenko. “Our team really kept our focus this game. We prepared by watching film and studying the goalie’s weaknesses so we could use those to our advantage,” said stat leader of the evening Grant Stein with three goals and two assists. “We take every game seriously. Whether it’s pre-season or conference, we play every game like it’s the NCAA championship,” said sophomore driver Nick Bell. After falling to the Bruins in a heartbreaking 9-8 loss in the NCAA championship last fall, the Trojans are ready for revenge and to start and end the season strong with a championship. The Trojans have some big competition coming up next weekend at home against No. 4 Stanford Cardinals. After losing to Stanford in the NorCal Pre-season Tournament, the Trojans are looking to answer that loss with a conference win at home. “Going into next week, we will need to fix our mistakes from the loss last week in NorCal and work on our 6 on 5 offense,” said Bell. “We need to come out strong and quick and control the speed throughout the game,” said Stein. The Trojans are off to a great start with a solid MPSF win that takes their overall record to 10-1. The upcoming weeks will decide their conference ranking but the Trojans intend to stay on top. You can reach staff reporter Karey Cavaney here.